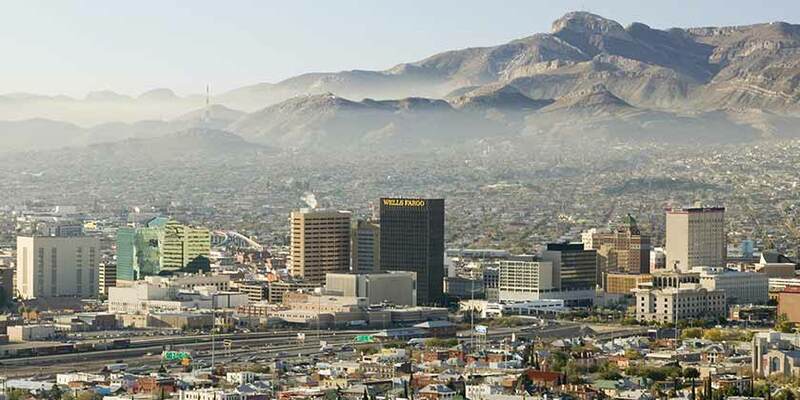 A charming blend of American and Mexican traditions, sun-swept mountain vistas, and authentic southwestern charm, El Paso, Texas, offers a wealth of entertainment options for visitors of all kinds. With its dynamic golf courses, popular cultural attractions, and great variety of shopping and dining options, El Paso is a popular destination for active travelers, families, and golf lovers. An El Paso vacation offers outdoor adventures, like golfing, hiking, and even cave exploring. Visitors to El Paso can choose from an array of arts and entertainment options, including concerts by the El Paso Symphony Orchestra. An El Paso vacation is perfect for both nature and music lovers.